Agency life is stressful at the best of times. It’s demanding to work with multiple clients—each with their own specific wants and needs—at a breakneck pace each day. Now imagine your clients are trying to save the world. Welcome to the everyday reality of Media Cause, a social impact and non-profit marketing agency. When Media Cause needs to create efficiency and scale for these mission-driven organizations, it turns to Sprout Social. No two days are the same at Media Cause, but it’s safe to say Sprout Social usually plays a role. Accomplishing this with so many different clients and internal team members—some of whom are on opposite ends of the US— is made possible thanks to Sprout’s group functionality. “All our clients have their own groups, which makes it tremendously helpful for us to collaborate internally across coasts, as well as with our clients,” Johnston said. With so many stakeholders collaborating through Sprout Social, ease of use is a top priority. Successful agencies must consistently provide value to clients in order to retain business and grow accounts. 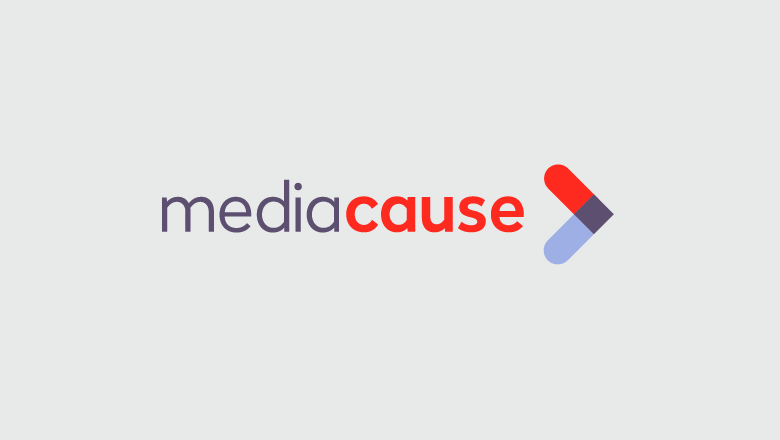 For Media Cause, value is often measured in impact—money raised, volunteers recruited and actions taken. 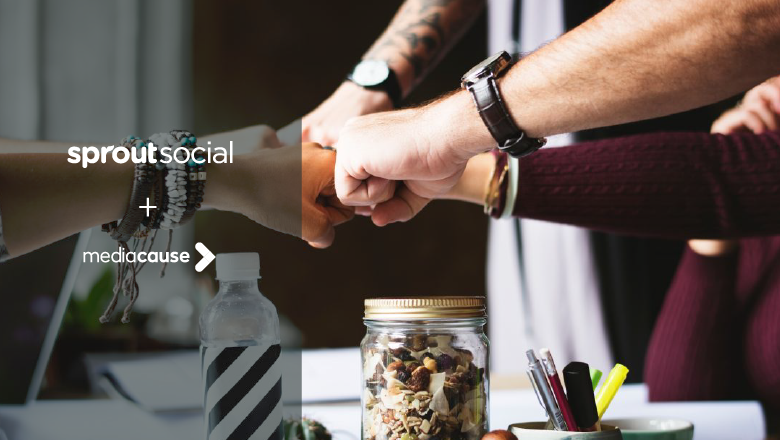 Sprout Social empowers Johnston and her colleagues to move beyond just posting content to drill down into what communities want and need from an organization. Sprout’s data analysis and reporting capabilities also make it simple to spotlight the value Media Cause offers its clients. For an organization hoping to rally people to its cause and inspire activism, such growth represented a major success. Media Cause is more than a Sprout Social client—it’s a partner. Training and materials to help educate current clients and attract new business. 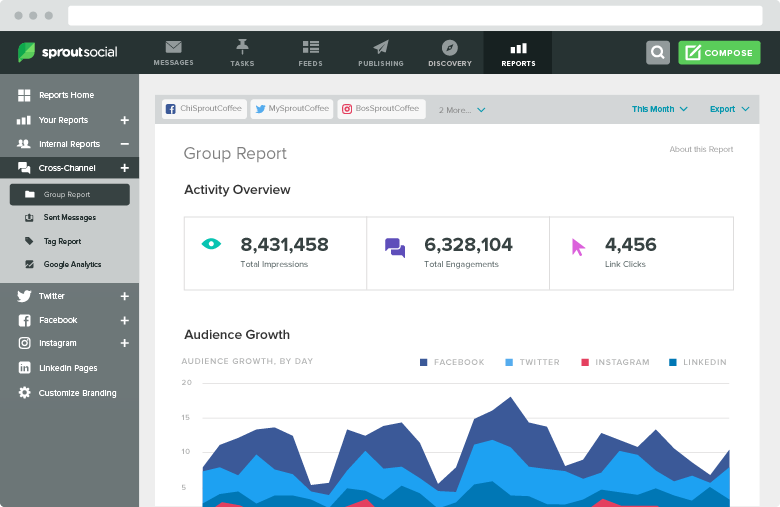 Reports and other content to prove the ROI of social media. Managers and success teams that assist with sales and business scalability. Leads from the Sprout Social Marketplace. Agency clients expect results and they expect them immediately. Sprout Social helps Media Cause deliver.